Rallying is the most exciting form of motorsport on 4 wheels and is ever increasing in popularity due to the thrills. 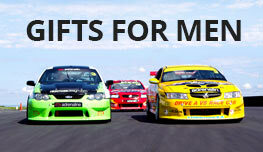 The Best Half Day Rally Driving Experience in Adelaide. What a rush! This is an awesome introduction to the adrenalin-fuelled world of rally driving in real competition vehicles. 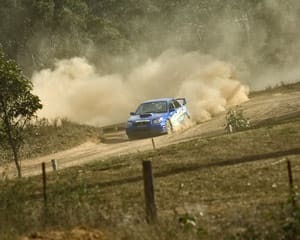 Take your choice of rally car from a fleet of Australian Rally Championship spec super cars, including the Subaru WRX STi, the Mitsubishi Lancer Evo 8. You are given four rally driving sessions behind the controls of a minimum of two different cars over the rally driving dirt circuit layout, for a minimum of 28 laps of the 'Rally Practice Stages'. 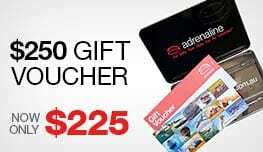 You’ll be taught mind-blowing professional rally driving techniques which, in addition to getting the most out of these high-performance rally driving vehicles on the day, will also make your everyday driving safer and more enjoyable. Sessions start at 8:30 AM. Thanks so much to all staff involved Howie, Luke, Stuart, Cameron - a great group of guys. Many thanks indeed for a fantastic experience. The 1/2 day rally drive was a fantastic experience, made all the more enjoyable by the staff. Thanks for a great day! I had a great day! Would recommend this to anyone that loves motor sports!! What a great day! Professional and fun, these guys take driver education to another level. The hot lap is amazing - straight line until the first corner then sideways for the rest. Just awesome! I only had a taste....a hot lap!! But absolutely awesome!! I will be definitely driving next time!! I found the drivers and staff very friendly and willing to give as much information as you ask for. The day was excellent from beginning to end! Would do it again and would recommend to any one interested in rally cars.